We like to think of our Premium Membership scheme as a special, VIP club. 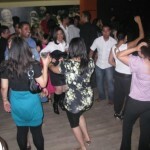 By paying us each month for our Online Dating services, our Premium Members also get massive discounts off all events. This isn’t just for them, but for their friends too. That means that the savings can work out much more than the actualy cost of membership. Great value or what? On top of that, we run events just for our Premium members in mind. This includes special Wine Tasting, Theatre, Comedy and Casino evenings and they are great opportunities to meet new people in London. Our latest events have been “money can’t buy” concert tickets to Beyonce and Michael Jackson. Not only are these sold out concerts, but our guests get to sit in the VIP Single Solution box and have access to the VIP lounge and Entrance too. This means no queuing when you arrive or when you go to the bar. All this for just the regular price of Online Dating membership! Our aim is to run more and more new and exciting events so if there is anything you would like to see you do then please contact us. Imagine if you clicked this blog and all you read was “I’ll come back to this later.” How would you feel? Perhaps disappointed and ever so slightly cheated. It never ceases to amaze us how often people don’t bother filling in their profile properly. A lot of people will write things such as “I’ll tell you Later,” “Ask Me for more Info” or “I can’t believe I’m doing this.” This is such a waste of time! What sort of message do you thing this gives to other members? Firstly, it makes you look ignorant and lazy. If you can’t be bothered to take the time to write a few things about yourself then why should anyone else be interested in getting to know you? Remember that your profile is there as an advert. If you write interesting things then you’ll give other people the chance to ask you about them. The more interesting and fun you sound then the more chance there is that they will contact you. Think very carefully about what you DO say. Don’t write things for the sake of it. As a guideline, write a few well crafted lines about yourself, followed by a couple of lines about the sort of person you are looking for. You don’t have to write an essay – too much is almost as bad as too little – but just enough to give everyone a snapshot of your personality. So take a few minute out of your busy lives now to write a better profile. You’ll see the rewards as soon as the emails start flooding in! It’s often said that imitation is the sincerest form of flattery. Well, it seems that a week doesn’t go by without yet another company trying to copy what we do. Many companies come and go, trying to emulate our successful formula and running second rate events. They try and use the venues we work so hard to find, attempt to poach our customers and undercut our prices. We’ve even found some who copy and paste the text from our website, using it as their own! These companies don’t last very long. We were the first company to introduce the ice-breaking card game, which other companies adapted into the Lock and Key game. We also provide more (and better) hosts than anyone else. Competition isn’t a bad thing as it makes us work harder. 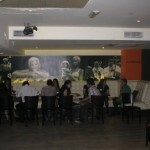 We know that we are the industry leaders and have the most experience, busiest parties and nicest guests. We offer the best value for money events and are in this for the longer term, rather than trying to make a quick buck and then disappearing. As we move towards our 8th year of business, we promise to keep on trying out new ideas and events. Asian Single Solution is the original and the best and we thank you for your support. Dating Expert for the Asian Single Solution. 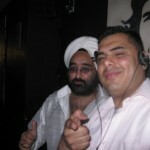 Thank you to everyone that came to our Hindu & Sikh “Bhangra” Singles party at the Cuban Bar. We had over 150 guests who took part. 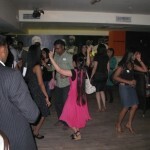 For this party, we had DJ Precious who really made sure he got everyone dancing once the speed dating had finished. We’re delighted to say that he’ll be back at some of our upcoming parties so do watch the website! We’ve also had some great feedback as you’ll see below. We took a few photos that we though you might enjoy.